Homewood is a 27 home development on Post Oak Lane near Woodway on the edge of Tanglewood. 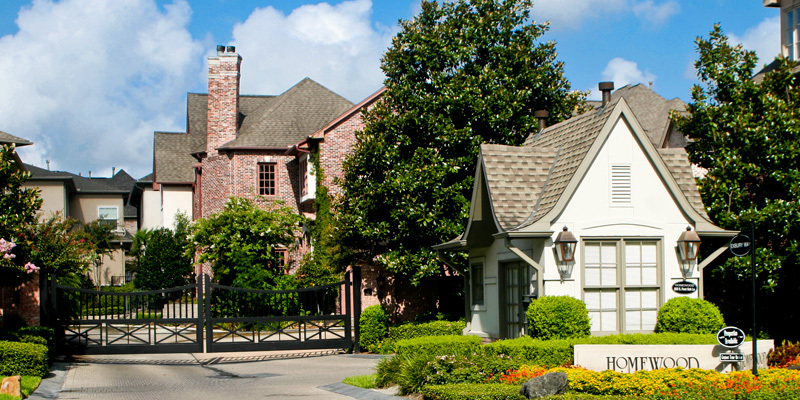 It is recognized as an example of the best urban residential development Houston has to offer. Built on courtyard-home size lots, the Axis group built homes in this gated community are from 4,000 s.f. to over 6,500 s.f. and range in value up to $1,250,000.